Can’t choose the model of the best camera for amateur photographer: Nikon, Canon and Sony or buy all-in-all amateur photography kit? Follow our tips to choose a good camera for photography on a budget. If you a beginning photographer, you had an experience of shooting on a P&S camera (Point and Shoot Camera) or even you have an Instagram account with one hundred followers where you upload the pictures taken on the smartphone. But at one time or another, you want the bigger: to start taking creative photos, earn money photographing wedding portraits or real estate images. But your starter equipment doesn`t cope with your wishes? Anyway, your way to the big world of qualitative and bright photos lies through a shop to which you come for the real, serious, and professional cameras. And here you face the following problem: “What camera will be the best variant for you?” I suggest you a roundup of the most recommended models. I think if you are a beginner and want to start shooting or buying a complete set of everything that you might need for your new amateur camera, then Amazon has dozens of profitable offers. For example, I liked this kit from Canon where you buy Canon EOS 800D camera which is No. 1 on our list of the best cameras for amateur photographers and also a pair of 18-55mm and 75-300mm lenses. Supplements in the form of two batteries, bags, a tripod, filters, memory card, belt, and control panel will be an excellent bonus. If you don’t like Canon or want to buy a camera body only, read the following review of 10 best cameras for amateur photographers. You can buy a DSLR, namely a reflex camera/digital single-lens reflex for professionals or even the camera offered by the selling assistant. You may wait a little with a final choice and having read hundreds reviews, wait for a new mythical camera without faults. 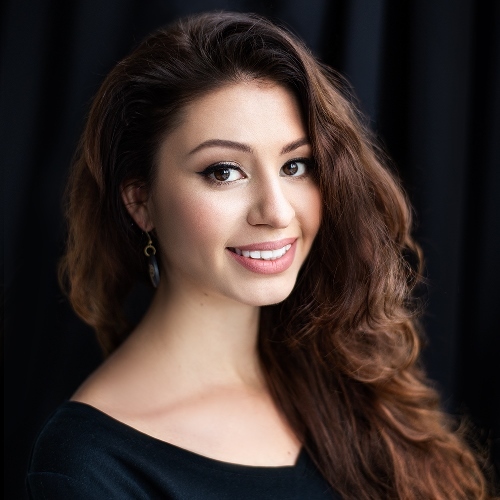 I suggest the simplest decision: having tested a set of different cameras, communicated to hundreds of experienced photographers, attentively examined the prices in the market, I have gathered 10 models which will perfectly match for a beginning photographer. The first part is MANUAL SETTINGS - the camera has to have them. Moreover, each touch tuning should be near at hand and always available. Therefore, we sweep aside all `point and shoot cameras` at once. Most of cheap compact cameras don`t have sufficient facilities for manual insertion of main characteristics. The second is the opportunity to shoot in PORTRAIT MODE with a blurred background. The depth of amount of in-focus distance in your photo should be reduced enough so that the subject is sharp and the background is blurred. It is very widespread artistic touch for portrait photography which has to be in an arsenal of any photographer. But not every camera can give you such blurred background in a shot. The image sensor size is important first of all - the more the better. In reflex cameras big matrixes are traditionally applied: 24х36 mm or APS-C (about 23,5 x 15,6 mm). Don’t forget to edit photos in Photoshop or Lightroom. If you don’t have time or skills for that, FixThePhoto post production services are ready to help you fix all portrait photography defects and enhance images from $5 per photo. Therefore I would like to add a new type of cameras for the beginning photographers – SCS, namely COMPACT SYSTEM CAMERA. If we start saying about replaceable lenses, let`s talk about them. Both in reflex cameras and in the SCSs the quality of future picture at least for 50% depends on the applied lens. Moreover, an established lens defines approach or distance of the image on the camera. You can buy and set any lens to your camera (mind the mosel) There are lenses for macro shooting, wide angle lenses, lenses for a portrait, telephoto lenses for shooting remote objects. Why not to Buy Used Amateur Cameras? To receive more and to pay less sounds so pleasantly if you’re just beginning business! While buying a new camera there are some ways to save money. BUT! Don’t even think about buying a used camera. Even a skilled expert won`t be able to reveal possible problems in the camera for limited time. That is why, if you do not want to be tricked, buy a new camera in the shop with the original warranty certificate. And the only safe way of economy is making a purchase of not of the latest model, but the previous one. 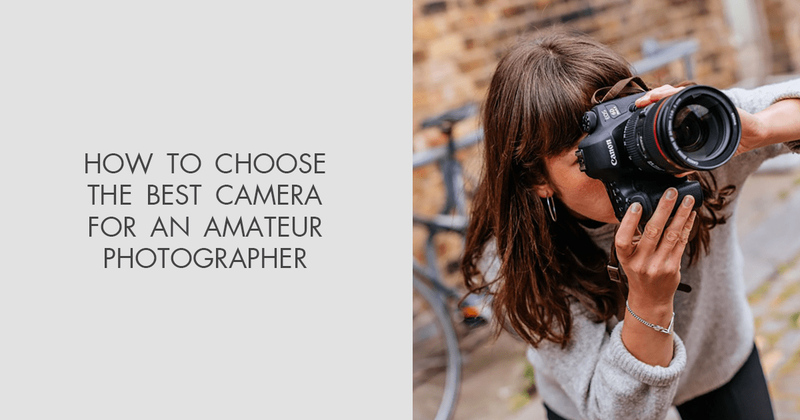 I considered all factors described above and created the TOP 10 list to choose the best camera for beginner photographers, which is simple, easy to use, doesn’t cost a stressful price and gives excellent quality of photos. Don’t forget to choose the best camera bag to transport your photography equipment without damages. This DSLR camera for amateur photographers is considered to be the best choice for any amateur. Canon EOS 750D is the camera over which Canon experimented a lot. Touch-sensitive display with the ability to rotate, phase auto-focus sensors on the matrix and many new technologies are installed. The ISO range has been extended. Comparing the camera with the previous model, we can allocate a new processor. Canon producers, as always, were wise and looked at how competitors introduced new technologies into their cameras and then combined everything in one camera. Therefore, the 750D turned out to be an excellent device. Serial shooting with RAW is possible only up to 3 frames / sec. In this case, an inexpensive lens demonstrates not only excellent results, but also compactness that will make it possible to turn even the amateur camera into a professional one, if you have money for that. Nikon D5300 is the amateur photographer camera that you may buy instead of the older D7000 version, because it is not inferior to it in the parameters. The Nikon D5300 is quite a functional and convenient device capable of delivering beautiful shots. The main difference in favor of the D5300 from the early and late models: the D5300 rotary monitor of the camera can be the decisive factor for you, since neither the D3200 nor the D7000 have such an excellent monitor. But this camera for amateur photographer has a number of cons I don’t like a lot: a timer for only 10 seconds. The camera is pleased with the aggressive mode of automatics, as it erects a flash even with a ghostly hint of the need for triggering and also raising ISO and exposing short exposures. Energy efficiency is the main advantage. Good camera for amateur photographer will shoot 700 frames without problems and will not be discharged completely. DxOMark recognized the Nikon D5300 as the best APS-C sensor in 2013. Slowly scroll through the pictures in playback mode. I think that every beginner and even an advanced photographer must have such a luminous lens with such a focal length. It is sharp, light, compact, has a fairly fast focus and is not expensive. Compared with the previous generation of cameras of the same class, their characteristics became significantly higher: the resolution of the matrix increased, older models got a better 19-point phase-locked autofocus system, faster autofocus in Live View mode and video shooting. The buffer for serial shooting is very large in case of using JPG files and is limited to 8 frames when using RAW. Perhaps, this is the most obvious restriction associated with this class of cameras. The second noticeable bag is that you can’t choose the autofocus point. A nice bonuses are a remote control, quick exchange of pictures with other devices, and wireless printing. The connection to the smartphone is able to simplify the NFC function as much as possible (a dynamic NFC-tag is used here). The lens is fast and sharp. It is similar to (except the speed of focusing and video shooting) the Sony Carl Zeiss Sonnar T * 55mm f / 1.8 ZA, which is 3 times expensive. If you have a desire to connect your life with the products of Nikon company, the reflexive Nikon D5100 appears to be the optimal choice. It uses a sensor of Nikon D5100 – 16.2 million pixel CMOS matrix APS-C span. 4928x3264 resolution and ISO rating 100 – 6400. As additional facilities came into action ISO modes 12800 and 25600; and the monochrome mode of night vision ISO 120-400. Autofocus is one of the strong points of Nikon D5100. Apart from the facility to produce shots in different artistic affects, it makes possible producing images in HDR. Auto focus of the camera has 11 points, cover the major part of the screen. The system uses 420-sector RGB-sensor – one of the beat in this field. The image quality it gives for such a low price attracts the attention of amateur photographers. In addition, this lens has every chance to become one of the most popular among amateurs in portrait photography. This 24-megapixel amateur camera is the smallest and lightest one, which is equipped with a fully swivel and folding LCD display. In addition, it boasts higher ISO and faster autofocus than its forerunner. EOS Rebel SL2 camera for amateur photographer is at the Canon's entry-level cameras for many indicators. Support for multiple DSLR lenses is the biggest advantage of Canon EOS Rebel SL2 over analogues. It is an entry-level DSLR that combines many of Canon's new technologies into a compact, portable enclosure. It has strong image quality, an easy-to-use interface and good wireless connectivity. It also combines old and new technologies of autofocus. By the way, the latter (Dual Pixel) is responsive and accurate. Overall, SL2 is not the best in its class, but despite this, you can rely on it to work in most situations. Lens Canon EF-S 10-18mm f / 4.5-5.6 IS STM turned out to be very successful both for photo and video. It has a small size, excellent quality, optical stabilizer, new technologies (silent drive STM) and attractive price. Sony ILCA-68 is the best camera for amateur photography that has a number of advantages taken from more expensive models. I can even say that this is a simplified version of the semi-professional model ILCA-77M2. Let me remind you that we are considering a camera with a translucent mirror. This type of camera is released today only by Sony. Just worth mentioning its autofocus. The 79-point phase AF module works clearly, quickly and steadily in all conditions. The function of face detection and focusing on the eyes adds convenience while taking portraits. But the need to press an additional button when manually selecting the focus point significantly reduces the speed of the reportage shooting. I can praise the amateur camera for ergonomics, thoughtful and finely tuned controls. Monochrome display on the top panel is an additional advantage. But I can also highlight the drawback: serial shooting in full resolution is possible only at a rate of 5 frames per second, the buffer size is limited to 8 frames in RAW + JPEG and 21 frames in JPEG. What about image quality, this camera confidently shoots on ISO to 1600 units, ISO 3200 is the extreme value. This new lens has a more modern exterior design, stylistically corresponding to the new generation of Sony cameras. According to the manufacturer, it suppresses glare more effectively. The lens covers the range of focal distances in demand by beginning amateur photographers. Nikon D3400 holds its positions in the list of best cameras for amateur photography since 2010. This Nikon representative mirrors all the tendencies characteristic of the company: both mindful treatment of design and ergonomic aspects, liberality in “secondary” functions and aspiration to give the shots more live colors. Nikon D3400 uses CMOS matrix with specification 14,2 million pixels. Dimension of matrix APS-C, the crop factor is 1,5. Electronics of the camera is based on the Expeed 2 processor, which enables the customer to take pictures in the ISO rating from 100 to 3200 and applying special more of ISO signal increasing till 12800. The camera looks compact and very handy in usage due to the horizontal handgrip with rubber insert. The only drawback to pay attention to is a fixed information display with low resolution. The auto focus system of the camera is based on the 11 sectors with the speed, which is typical for reflexive camera. There are a number of resolutions available with the speed varying from 24 to 30 shots in a second. As all Nikon reflexives of this level, it has no build in motor, that is why it is impossible to work with AF lens (only AF-S). Excellent image quality, good stabilizer and quality assembly. In general, this is a good lens. I recommend it as a replacement for the standard 50mm, if you want diversity. Perhaps, fans of 35 mm and 40 mm prime lenses will like this device. 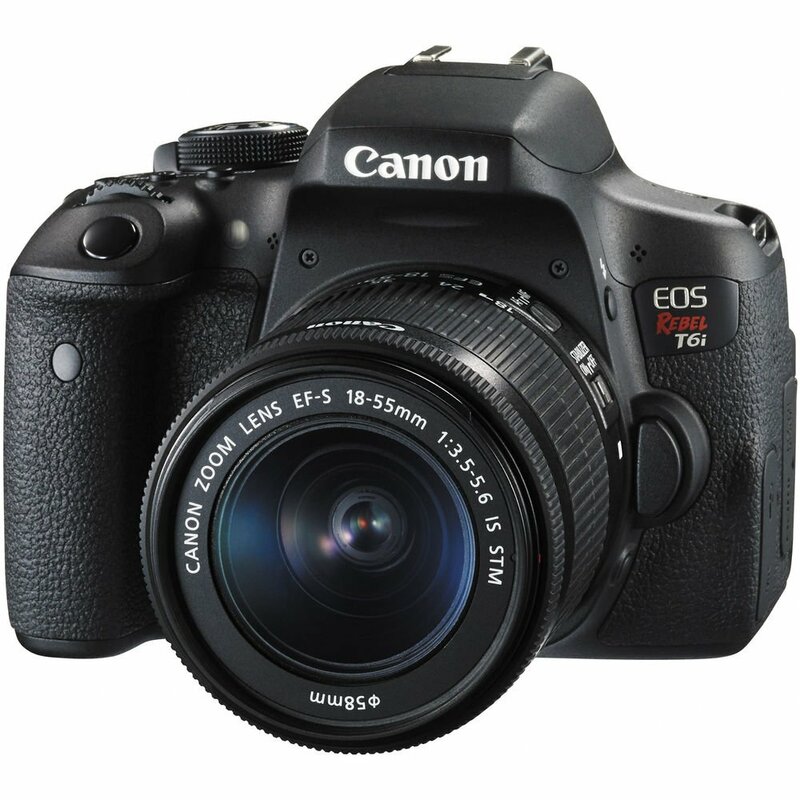 Canon EOS 1300D is an illustrative example of good camera for amateur photographer with the minimal possible price. It opens before the user the world of photography advising to use Canon cameras with bayonet joint EF-S. The camera is built on the CMOS matrix with the dimension APS-C (crop factor – 1,6), max resolution – 12,2 million pixels and DIGIC 4 processor. Judging from modern perspective the specification of sensor is not very high (4272 x 2848). Canon EOS 1300D has a not bad system of auto focusing with nine detecting elements. Some of the changes have touched the built-in flash (it is less powerful) and the informational display (the diagonal is smaller and there is no remote mechanism). Serial shot is possible only with the speed three (JPG format) and two (RAW format) shots in a second. The lens is definitely recommended for purchase, especially if you need a spare lens for such a focal length or as an affordable wide-angle lens of an entry level. The digital mirrorless armature photography camera Sony α6000 (ILCE-6000L) received a modern and at the same time stylish appearance combined with good ergonomics and high-quality performance. (up to 3200 units and even higher). high-quality OLED viewfinder, you can control the shooting process from many angles. Special attention should be paid to the remarkable and precise work of the advanced hybrid autofocus system, a good implementation of the noise reduction system, high speed of burst shooting (11 fps) and an increased data buffer. Also worth noting is the introduction of a large number of software functions and modes that work properly. Moreover, due to the presence of the Playmemories service (application store), you can additionally expand the camera's capabilities (different shooting effects and processing of the captured content). Sony E PZ 16-50mm F3.5-5.6 OSS is a universal, compact and inexpensive (only 300 dollars) standard zoom with feedback, which will be an additional plus of video. In addition, it will also show you the direction for the traffic. First of all, the Canon PowerShot SX60 stands out with an incredible zoom. Amateur photographer camera will appeal to travelers and novice photo-hunters, as it takes pictures of objects from a great distance. You probably already guessed the size of the matrix used. CMOS-sensor with backlighting, the size of which is 1 / 2.3 inches is used in the Canon PowerShot SX60 HS. If the matrix were larger, then the lens would have to be very large. Therefore, the authors should not be blamed. We need only note that they did not overestimate the resolution. The 16.1-megapixel sensor produces little noise. Problems arise only when the ISO is raised. The ISO range is in the range of 100 to 3200 units, with an extension of up to 6400 for shooting in low light conditions. As reported by Canon, the improved intelligent image stabilization system will provide eight modes of jitter correction. The electronic viewfinder is located on the back of the Canon PowerShot SX60 HS camera. It consists of 922 thousand pixels, so the picture has a graininess. This is especially noticeable when shooting in low light conditions. There is no doubt that most of the owners of the camera will be sighting with the help of an LCD display, since it is more convenient.